The Scottish Champion Hurdle at Ayr on Saturday looks like being a cracker and BetVictor make Dan Skelton’s Nube Negra their 9/2 (from 11/2) favourite. 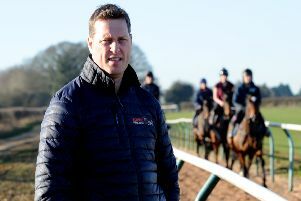 I vowed never again when the gelding finished third at Newbury last time but he is still only a five-year-old and there are plenty of punters willing to forgive and forget. The Future Champions Novice Chase looks a cracker and with Vinndication and Secret Investor both, arguably, better going right-handed I am leaning towards Alan King’s Ballywood (7/2 with BetVictor). Cracking Destiny (3.15) has won his last two starts over two miles on a right-handed track and he has his optimum conditions at Huntingdon this afternoon for Ian Williams. The selection is only six and remains open to further improvement over fences. Zalvados has the ability to win a race off his current mark but he might want a bit more juice in the ground and has thrown away winning opportunities in the past. Vocaliser is very well handicapped at present but the Robin Dickin yard continue to struggle for form although they did have a runner – Anti Cool – run well at Wincanton earlier in the month. I’m going to take a chance on top-weight Pique Rock (4.20) breaking her maiden over fences at the third time of asking. The selection is a dual winning pointer who scored twice over timber in the autumn for Henry Daly. The stable had a welcome winner at Southwell in a Bumper on Tuesday and they can double up with this novice who is open to more improvement over the larger obstacles. Las Tunas is clearly in the form of his life at present but Oliver’s Gold (2.55) is taken to reverse recent C&D form on 8lb better terms for the 7L he was behind in Wetherby’s 2m Handicap Chase. The selection is 11 years of age and not the force of old, but has won twice previously for his conditional jockey and has a decent record at Wetherby. A market move for Solo Saxophone would be worth noting given the son of Frankel returns following a break for the inform Dan Skelton yard. Preference, however, is for recent Kelso scorer Jack Lamb (4.00) who is taken to follow up his Borders success from just a 3lbs higher mark. The grey has now won two of his last three starts over timber and is in the form of his life at present. Fingerontheswitch (5.05) is unbeaten in two starts over 3m at Wetherby and he can maintain his unbeaten record returning from a near five-month break for Neil Mulholland. 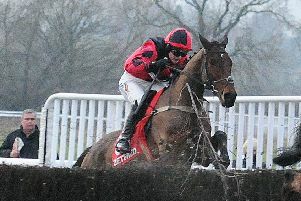 The nine-year-old has run well fresh in the past and has won off a higher mark – albeit over hurdles – in the past. In the opener at Newcastle tonight Graham Lee takes over on Kelly Morgan’s Extreme Appeal (5.30) who won well at Doncaster in an amateur riders’ event at Doncaster’s Lincoln meeting and carries just a 4lbs penalty for that success. That win was gained over 12f but the gelding had suggested that 2m would suit when he finished a never nearer fourth at Lingfield over this trip on his penultimate start. Note BetVictor are betting each way four places on the 14-runner event. I’m looking forward to seeing Irish raider USS Michigan (3.35) taken on a strong home challenge in Chelmsford’s £60,000 Conditions race with the winner likely to get an invite to the Kentucky Derby next month. The selection is well drawn in stall two and looked a colt of considerable promise when landing the odds at Dundalk last month for Aidan O’Brien who has never saddled the winner of the Run For The Roses, but will have learnt plenty from last year when he had his first runner in the race – Mendelssohn - at Churchill Downs. The home challenge is strong with recent Lingfield listed winner Fanaar just preferred to Dark Vision who is unproven on the all-weather and has a bit to prove having finished last of six in the Champagne Stakes when last seen in September. Mark Johnston’s colt had previously won the Group 2 Vintage Stakes at Glorious Goodwood. It will be fascinating to see what the market makes of his chance.